Could Seahawks DE Frank Clark be traded to the Chiefs? Share Could Seahawks DE Frank Clark be traded to the Chiefs? 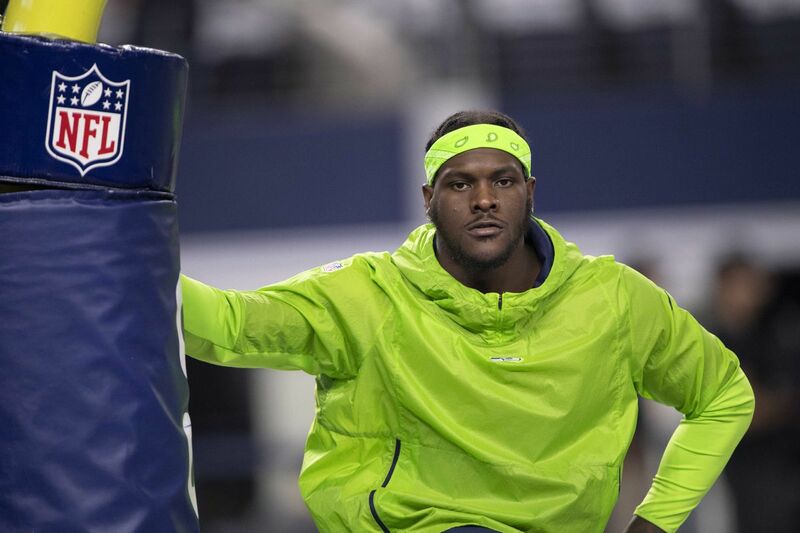 Are the Kansas City Chiefs in the mix to acquire Seattle Seahawks defensive end Frank Clark? After a report a couple of days ago from The Athletic’s Jay Glazer that said trade talks for Clark had “died down,” Mike Florio of Pro Football Talk essentially said not so fast on Sunday night. Standing at 6 feet 3 and 273 pounds, Clark fits the profile of the type of defensive end that Chiefs defensive coordinator Steve Spagnuolo likes. He is also a former second-rounder, which plays right into the wheelhouse of Chiefs general manager Brett Veach. The 25-year-old Clark had nine or more sacks in each of the last three seasons, but the Seahawks are dealing with a situation involving having to potentially sign quarterback Russell Wilson to a new contract and may feel comfortable with more cap space. There are several things to consider if a trade for Clark were going to happen. First, since Seattle has tagged Clark at the rate of $17.128 million for the 2019 season, he would have to sign the tender. Clark could easily block a trade by refusing to sign. He also may not sign unless there was a long-term deal coming at his next destination. The value of that hypothetical long-term deal increased thanks to Cowboys defensive end DeMarcus Lawrence’s new contract: five-years for $105 million ($65 million guaranteed). Second, a team would have to send the Seahawks some value back. Maybe it is as easy as the 2020 second-rounder the Chiefs received from the San Francisco 49ers for Dee Ford. Perhaps it’s more. Finally, Clark has a connection to domestic violence in his past and was convicted in 2012 on felony home-invasion charges. Clark was kicked off the Michigan football team after his arrest in connection to domestic violence. Pro Football Talk: For Clark, multiple things happened. He was accused of domestic violence while at Michigan, and he ultimately pleaded guilty to disorderly conduct in a deal with prosecutors. However, the police who investigated the case disagreed with the conclusion by prosecutors that Clark did not strike his victim. Clark also was convicted in 2012 on felony home-invasion charges, which caused him to ultimately miss one week of practice and a single game while playing for Brady Hoke at Ann Arbor. I don’t know if the Chiefs and Clark Hunt would be willing to actively take on another player connected to an off-the-field issue.